There is nothing more powerful in SEO than link building. Backlinks give a website more SEO power, rising it up in the SERPs, increasing its Google rank. However, to make all this true, you need first to index backlinks, i.e. make Google know about them and take them into account when evaluating the webpage’s weight. When a backlink to your resource is posted on any third-party website, at first it is not visible to Google, as its robots haven’t detected them yet, so the link is out of Google index. Some backlinks will never be indexed, and sometimes backlink buyer will not even know about this, being at risk to spend money for no effect. These aspects we are going to research below. Moreover, you will get efficient tips for how to speed up the indexing process to make backlinks working maximally fast. How the links are indexed by Google? There are millions of new pages and links appearing in the internet every day. The tones of new information must be properly processed by indexing robots to appear in search results and become accessible to online users via Google search. Such colossal ingrowth of new information is hard to digest not only to people, but also to search engines. Very often they simply cannot manage to find and add all new backlinks to its databases immediately. If you have limited time, use LinksManagement free SEO analysis and Free SEO Cost Calculator to estimate how many links and money you need to get to the top of Google. Data collection by search engines is a regular process, and its periodicity and efficiency highly depends on the technical resources and the technology of the specific search system. Speaking about Google, its robots visit fixed number of websites every day, gathering information about all new or modified texts, links, images. Based on the collected data, they recalculate the position of each webpage in SERP. The scanning of pages and links in Google starts from the list of web addresses obtained during the previous scans and the sitemaps provided by website owners. During the scan Google robots are searching for the links to other websites (backlinks) too. There is no specific order of defining what sites to scan first, how often to do this, etc. Google defines all this automatically, and there are no paid scan checks to get backlinks indexed quicker. So the conditions are equal for all data in the Internet. (We will consider how to make your updates more noticeable for Google and speed up indexing process avoiding bad backlinks). It takes 30 or more days for the 3rd and lower nesting level pages. You see that in 21 days since the links purchase the indexing speed is rather low, while on the fourth week the curve slope becomes sharper. Within the next 10 days after the 21st day 25% of all links get into index. We will consider how to speed up this process from the developer’s and SEO side. So, all you currently need is to wait until your backlinks come into force (will get indexed). But how can you know, whether it is indexed or not when tracking Google ranking? Can you do it manually or you need a special backlink indexing service? Unfortunately, a part of the links stay not indexed even in a month after the purchase. And here you need to keep your eyes on the ball, especially if you purchase links on a monthly basis. When you buy backlinks on the backlink sale services, you need to know if they were indexed properly. As for LinksManagement pros, we provide you with info about referring page along before link is put on it. There are some simple ways to check the backlink indexing status. First let’s review the manual approach. It is hardly can be called the best indexing service, but in some cases it can help. Okay, let’s assume you have purchased a backlink on a specific resource and wish to check, if it is already in the index. Enter URL to the page with your backlink with quotes in the Google search box (or the location bar of your browser, if Google is set as a default search service). In the search results you will see the snippet of this page in search results, if the page itself is indexed. If the backlink you’ve purchased is on the opened page, then it is indexed. If there is no backlink, the page hasn’t been re-indexed yet, and the changes were not recorded to the Google database. This method is great, when you have a few backlinks to check. But when there are tens or more backlinks for each website, and you have tens of websites, it turns into a lifetime routine. It is better to find some paid or free link indexing services to do it automatically. One of the exciting things about a free backlink indexing service is that there are multiple possibilities to consider. However, every backlink indexing tool is unique in one way or another, meaning some might offer features not available on others. Therefore, it’s important to look at more than one free backlink indexer tool. By comparing what different tools offer, you can make a well-informed decision as to which one would benefit you most. Along with the features, you’ll need to identify if a free backlink indexer tool has limitations. For example, the free version might not add much value. In that case, you would have to pay for the full service, which could come at a substantial cost. Not only will the information provided save you a tremendous amount of time, but it will also allow you to review the top-rated backlinking tools currently available. Regardless of which fast backlink indexing tool you choose, the goal is to improve your search engine results on Google and other search engines. By automatically indexing new backlinks and re-indexing backlinks you changed, you can expect a vast improvement in the performance of your website. As your site begins to rank higher, the volume of traffic increases, which leads to more visitors and conversions. Remember, competition among online businesses has never been fiercer. With multiple companies vying for the same customers, thinking outside the box is no longer an option but a requirement. In addition to a superior product or service and competitive prices, you need to implement SEO strategies proven to yield outstanding results, including a backlink indexing tool. In today’s world, you cannot afford to ignore an opportunity like this. If you want to gain a competitive edge, you need a free backlink indexing tool, which you can find through various services such as those listed below. It is rather hard to find backlink indexer tools that will give the full report about the entire backlink profile. 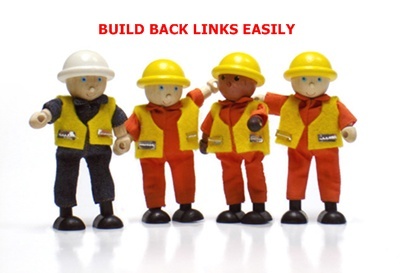 All backlink checkers and builders detect only up to 15% of total number of backlinks. That is why it is very difficult to control the situation using such tools. As a solution, it is possible to use a few backlink checkers and combine the results into one report. 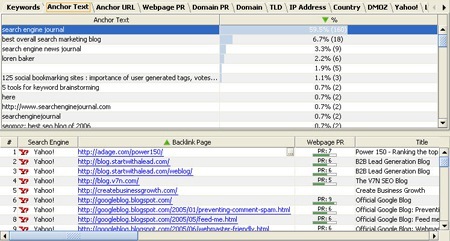 But again, the combined list of backlinks will hardly reach a half of all backlinks. However, they do work well for the websites with fewer backlinks (up to 10,000). Are you tired of working hard to rank high only to fail time and time again? Fortunately, you can turn things around with a free link indexer. You can offer the best product or service on the internet, but unless you implement the right SEO strategies in your site design, there’s little chance of you making it to the coveted first page of search results. The great thing about a free backlinks indexer, beyond the fact that it costs nothing, is it helps unleash your website’s full potential. Even if you have a current link-building campaign, unless you index the backlinks, Google and other search engines view them as valueless. Instead of struggling to rank high and drive more traffic to your site, allow a fast link indexer to work on your behalf and enjoy better results. Remember, a free backlink indexer performs two functions, it pings or blasts. With a ping, the indexer sends a notification to search engines or other websites often crawled by search engines, informing them you placed a new or updated backlink on your web page. As for a blast, a free speed link indexer sends the actual link you posted to different Google-friendly channels. This action reduces the time it takes to index backlinks. For powerful indexing, this cloud-based system allows you to quickly enter your website URLs in .txt format. After clicking on “Submit,” this fully automated system connects to unique sites or IP blogs and then pairs to the content of favorite sites for crawling purposes. With the Basic Plan, you can enter up to 1,500 URLs per month. For more, you need to upgrade. A key benefit is this tool pings each URL individually. Other features are social signals, automatic drip pinging, and RSS aggregators. 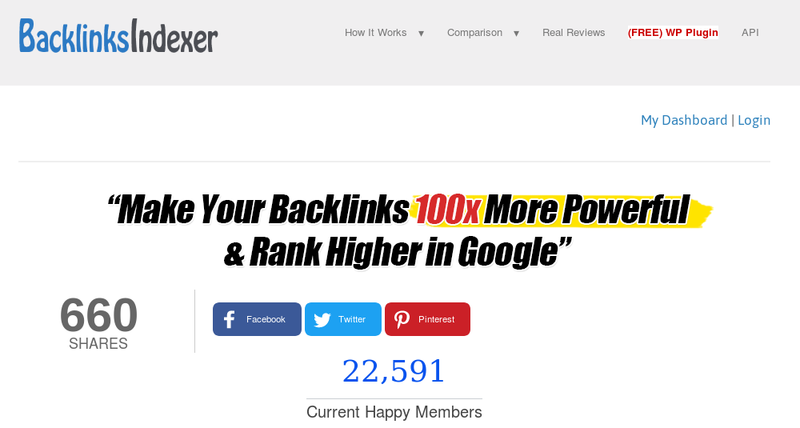 You’ll also appreciate an index rate of 97.40 percent, its integration with superior software used by top bloggers and marketers, and its connection with Web 2.0 and high domain authority blogs. If a URL fails to index, the system processes it a second time without any input from you. The one drawback is the “free” plan, which actually costs $0.01, only lasts for seven days. After that, you must select one of the paid plans. With this indexing service, Rapid Indexer submits your URLs to a broad range of statistic websites, which in turn, add value to them. Also, after receiving your backlink, this tool provides a free link going back to your site. One of the primary advantages of using this SEO tool over others is it sends the URLs to more than 15,000 websites. That means, in addition to Google indexing your links, you will receive 15,000 one-way backlinks. The Index Kings backlink indexing service allows you to submit complex URLs simply by checking the “Complex URLs” box on the home page. This free indexing tool also has a ping option, as well as a link checker that confirms the successful submission of your URLs. Instead of going through all your URLs one-by-one, this system generates an easy-to-read report. With the time saved, you can focus on implementing other SEO strategies. What makes One Hour Indexing stand out from other services is that it’s the only one that offers a guarantee. For backlinking and higher traffic levels, this mass indexing tool is a perfect choice. You can select from four distinct plans, all affordably priced. The Starter plan is only $17 a month. With that, you can send 1,000 backlinks per day and receive email support when needed. The Basic plan at $47 a month includes up to 10,000 backlinks a day, link-level reporting, one third-party and white-label API, and again, excellent email support. The third is the Pro plan. For $97 per month, you can send 30,000 backlinks a day, and you have unlimited third-party APIs. At the top of the list is the Agency plan with a cost of $497 a month. This plan includes everything offered with the Pro plan, plus you can send as many as 200,000 links every day. As the name implies, the Ping Farm is a service that sends out notifications to Google and other search engines to advise that you’ve updated your website or blog. While it has a basic design, Ping Farm gets the job done. As far as how to use it, you would simply copy your URLs and paste them into the text box provided. With Ping Farm, you can use other associated services, including Rapid Indexer, which submits your URLs to various sites that make them more valuable. However, in exchange for the more than 15,000 sites targeted, you receive one-way backlinks. There’s also a Link Checker that reviews all your submitted URLs so that you don’t have to. The system then generates a report, allowing you to confirm success. In just over five years, this service claims to have achieved the satisfaction of almost 50,000 customers. The primary benefit of using the Instant Link Indexer is that this tool indexes every page on your website. It also covers all types of backlinks, ranging from Tier 1 to 10. Another key factor is that along with blog network links, this indexer handles private blow network links including Wikis, comments, forum profiles, articles, social bookmarks, and even Web 2.0s. With a paid subscription, you’ll enjoy the full automation feature of this service. All you have to do is submit your links and allow the tool to do the rest. You can also add unlimited campaigns, which include limitless URLs for each one. Another advantage to this indexing tool is that you can schedule links 30 days in advance. With guaranteed indexing up to 80 percent, plus many additional features, you definitely want to check out this service. When you want to ping links, this automatic link is ideal. With this tool, you can create 105 backlinks at no charge, whether on your website or web page. When finished, you simply copy and paste them into the box shown, after which, the tool does the pinging on your behalf. As a bonus, this service has a Twitter mass following tool that’s just as easy to use. While not one of the more sophisticated backlinks indexing and ping tool, it gets the job done. Created by a group of web professionals, this free service is an excellent way to bring awareness to your site’s content to help boost your online visibility and traffic. Without a lot of fuss, you avoid the tedious process of getting a significant number of backlinks. Ultimately, the Ping Bomb tool will save you a lot of time and effort while helping you grow your business. 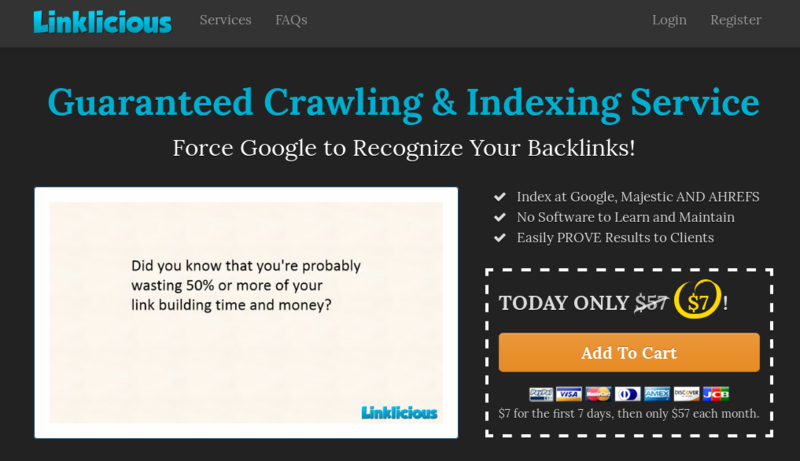 As a guaranteed crawling and indexing service, you can’t go wrong with Linklicious. As an automatic tool, there’s no need to download software that you would need to learn about and maintain. Instead, this fast backlinking index tool works great with Google, Majestic, and all Ahrefs. A huge advantage of using Linklicious is that it constantly tests. As a result, you have access to a service that remains current with new innovations and techniques. With graphs and charts, you can visually see how well your backlinking efforts are doing. This tool boasts a “check-in” system that allows you to monitor activity. It also has a “Prove Your Work” feature, so you can share with Google and other search engines reports on how well your backlinks work. You have three options with Linklicious. First is the free tool, which includes 2,500 daily links. However, with the Basic Plan, that number increases to 12,500 and to 50,000 with the Pro Plan. The higher the plan, the more advanced features you enjoy. Talk about a backlinks indexer that does it all, check out the SEO Tool Station service. You can quickly upload five links, click on the “Start” button, add an extension, and then allow the tool to go to work converting. 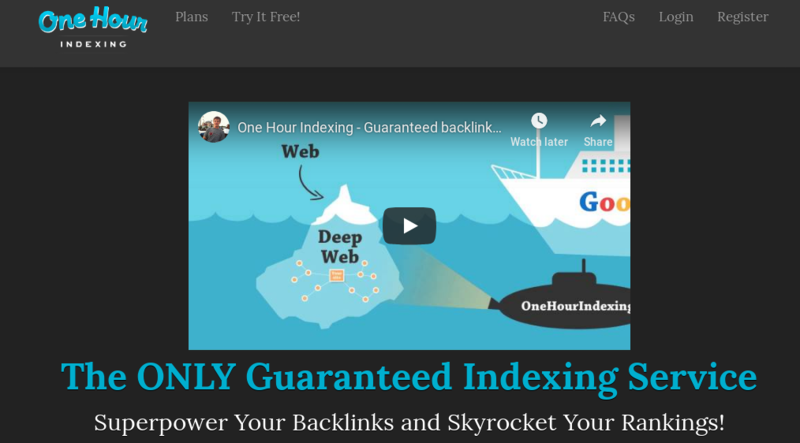 With indexing done by Google and other search engines, this tool works quickly. As a result, you waste little time having your links published. The SEO Tool Station service also works great for indexing. 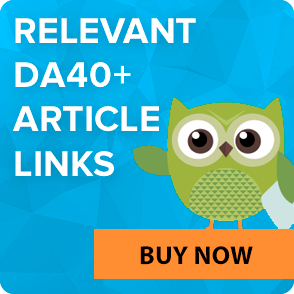 For submissions, whether articles, pdf files, Wikis, or Web 2.0 blogs, this instant indexer covers all kinds of backlinks. 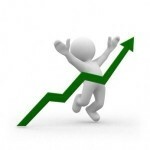 In fact, the backlinks you submit become effective instantaneously. Other features of this backlinks indexing service include an expired domain tool, keyword competition analysis, Skype resolver, YouTube keyword ranker, plagiarism checker, article rewriter, and related keywords finder. This service provides virtually any tool you need to help your website achieve a higher level of success. Keep in mind that for all the main categories of features are multiple sub-categories. When it comes to a linking service, Elite Link Indexer is an excellent tool. In fact, it currently has the highest indexation rate on the market. With 10-plus years of experience, the creators of this service have had the opportunity to grow right along with the changing requirements. Because of that, they truly understand what it takes to get backlinks indexed. To date, the Elite Link Indexer has processed almost 3 billion links. That alone speaks volumes as to its capabilities and degree of satisfied customers. As a scalable solution, this service can index more than 5 million links in just 24 hours. The primary benefits of using this backlinking indexer are access to outstanding customer support and fast link processing, with 97 percent processed in a couple of hours. This tool also works with Tier 1 sites, Web 2.0, blogs, articles, bookmarks, and even money sites. It’s also Google-friendly, and it provides detailed reporting. If you’re searching for powerful SEO software, be sure to check out SEO Autopilot. For one thing, this service boasts a sophisticated and automated engine designed to calculate link and keyword diversity for algorithms on Google and other search engines. This tool also has a unique “Scheduling Tasks,” which accurately calculates things like posts per day, instant posting, advanced scheduler, and days to run. Another useful feature is the optimum account protection. Not only does this bind your account with specific proxies that prevent a search engine from banning you while keeping your accounts in good standing, but it also ensures your accounts stay active for long periods. There’s also a fantastic link-matching feature. With this, you can match exact keywords to specific URLs, thereby saving tremendous time. You can use all the tools of this service for only $1 for the first seven days, followed by paying $99 a month for the SEO Expert plan. Loaded with features like authority links, Web 2.0 profiles, and a host of upcoming features, it will be money well-spent if you choose to subscribe. The GI column shows the status of backlink indexation. If there is a tick, the backlink is indexed. If there is a “D+P” value, it means that domain and the page are not indexed. Perhaps, robots.txt prevents Google from crawling, or Google simply hasn’t got into it yet. 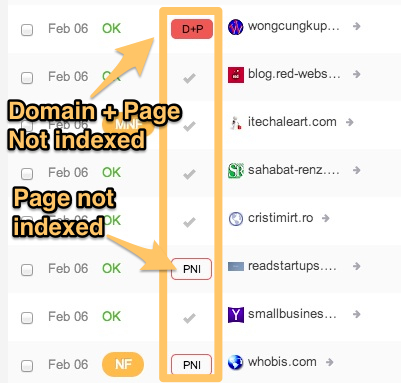 PNI means that the page is not indexed. Even the paid plans of the MonitorBacklinks have limitations in the number of tracked backlinks. Pro subscription at $119.90 per month allows analyzing only 5,000 backlinks per domain. It is suitable only for the websites with backlink profiles lower than this number. Also it is possible to import the lists of backlinks from text or CSV files. 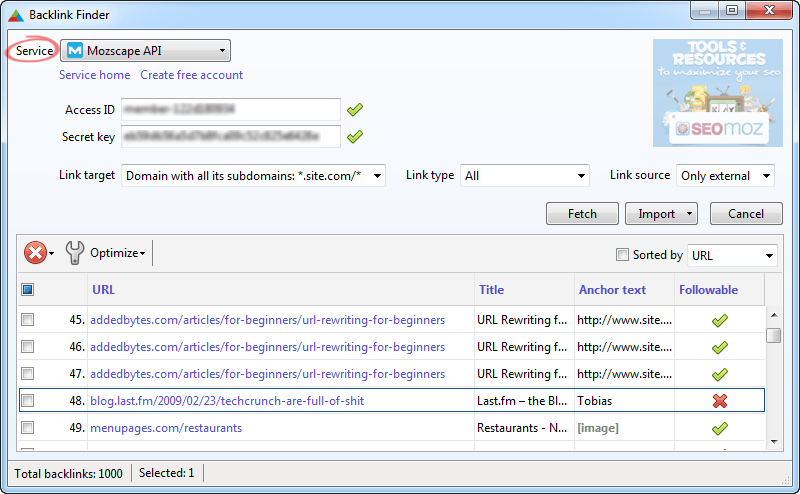 It also helps to remove unindexed backlinks or nofollow backlinks, limit the number of links from specific subdomain. Again here we deal with limitations, as the program works only with the list of backlinks you provide to it from certain services or import lists. This tool is available for numerous platforms including Linux, OS X and Windows. The report shows the title of the donor page, the existence of reciprocal links, anchor texts, the URL of the linked webpage, Alexa rank of the backlinking website and other params. There is a sorting tool that helps to sort links by domain. This application is available in the SEO Powersuite package that also can be used as a standalone utility. In order to use it, you need to make a one-time payment of $99.75 (no monthly fees). SEO SpyGlass is also available in a free trial that helps to evaluate all the features during a month of free use. Going back to the origins of the backlinks, it is worth mentioning that usually SEO masters purchase backlinks using special services. And you already pay money for backlinks to monetize blog or website in future. Taking into account inefficiency of any backlink checker (due to the limited backlink detection capabilities), the reasonability of spending money on paid licenses is very doubtful. What is more, it is not always convenient to run regular checks for all websites, as it takes time to review all those reports and react properly on every backlink that was not indexed properly. Purchase backlinks only from trusted services with ‘white’ reputation. Avoid low-quality backlinks. Do your best to purchase backlinks on the pages of the highest possible nesting level (homepage, 1st or 2nd level pages). LinksManagement keeps an eye on every backlink it sells, ensuring the customer in the highest quality of the provided resources and giving him a lot of food for thought. It is not only a backlink marketplace, it is a powerful backlink management tool with ability to see the statistics about each link you own in a convenient way. Here you also can learn all about SEO – just download our SEO reports and become a guru in link building. Using such service, there is no need to purchase additional backlink checkers and managers, moreover, you can using our service you can earn money with our referral program. In LinksManagement a customer pays only for the backlinks. And even if you’ve purchased one single backlink, you get access to a free backlink monitoring services alongside with a lot of other capabilities. This way you don’t need to worry about indexing backlinks, checking their validity and weight, pay for non-existent backlinks. Also, LinksManagement offers SEO Expert Tool that will ease your life – you can let the tool to select and buy you links automagically. The tool selects links according to the vital SEO rules so that your link profile will look natural. By the way, LinksManagement also guarantees the payback for a backlink, if the donor webpage was removed from the Google index. While the backlinks are installed manually, there is no chance for them to be ignored by Google indexing robots. 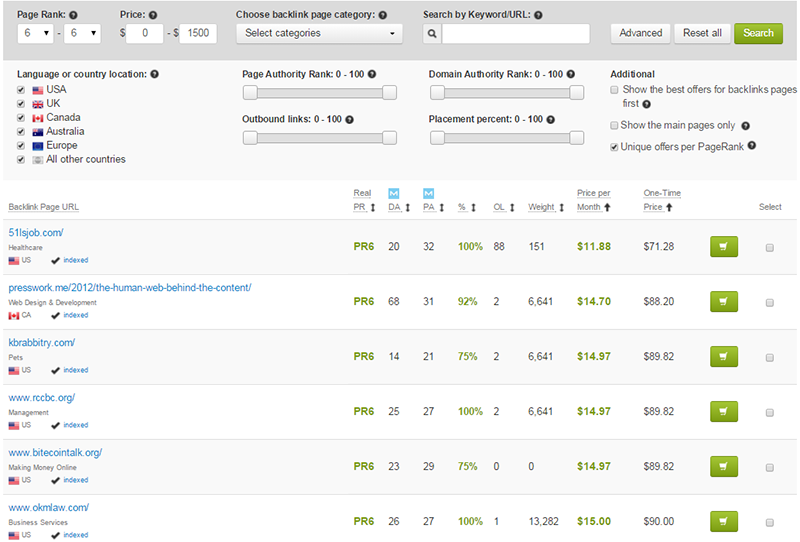 You can count the quantity of the backlinks you need to get in the Google Top rankings, using our SEO Cost Calculator. Working with reliable backlink providers will save you from the constant need to control the backlinks functioning and indexation. It really makes the life easier for SEO masters who run tens or hundreds of websites. 100% valid and indexed backlink profile is a guarantee of Google rankings increase – isn’t this what you need?